Two years ago when we launched our twice-monthly Dungeon Crawl Classics campaign I came up with a standard certificate for our treasures that we didn’t end up using. That campaign has finally died and a new one begun again with rotating GMs. The biggest book-keeping challenge for a rotating GM campaign (especially one that runs through a lot of modules) is tracking what items do exactly what, and remembering where they came from so we can dig up the old module to confirm one side effect or another. Fortunately our crew are pretty much the opposite of cheaters. When we have a magic item with weird side effects that our characters don’t know about, we run around with them cheering for the side effect to trigger. Same thing as those moments when a character rolls a 1 checking for traps and everyone gets into it to see how messy the scene is going to get (instead of retreating and sending someone else in to search). So, with a little extra prep time available to me before yesterday’s game, I cleaned up the old certificates I had made, tightened them up because I didn’t actually have the time needed to hunt down illustrations for each item the way I had it set up in the originals, and then inserted the stats (slightly edited, as is my style) from the adventure’s odd treasures. 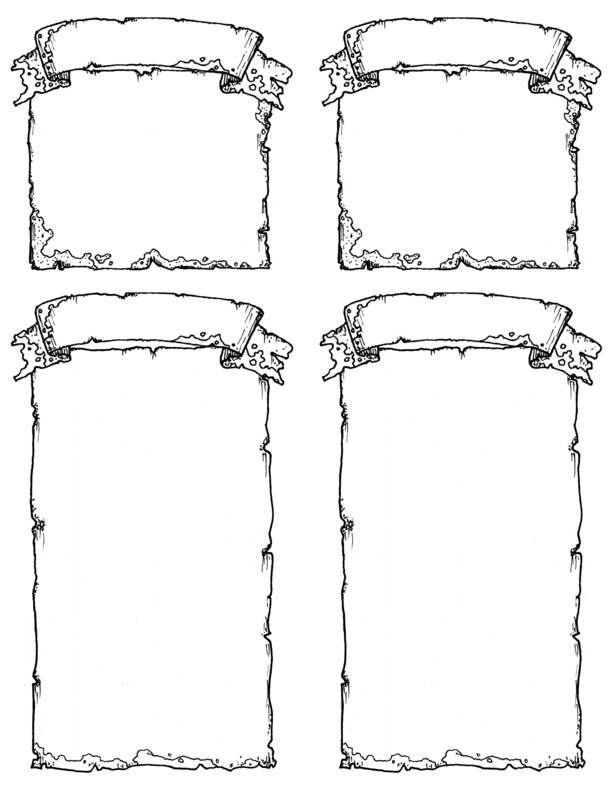 Here are the certificate pages I used as the basis for these certificates – using Duvall as the header font (because these are for DCC) and High Tower Text for the body text (because I just have a fondness for that body font). 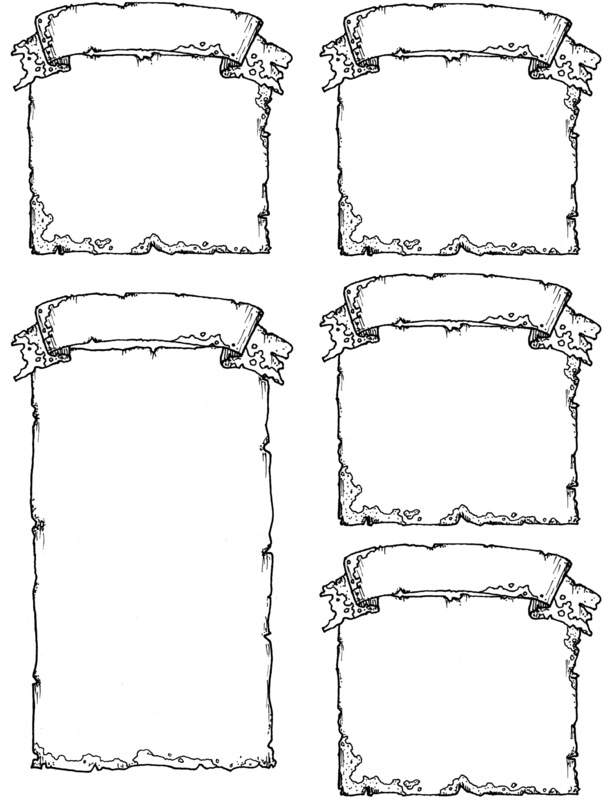 And of course, you are totally welcome to use these for your personal use as needed! Been thinking of Doing something this except for monsters, I have too many variants figures or miniatures of the same thing, different manufacturers even editions of games, since some are larger and or just different . I make Greater and Lesser version of things to match the miniatures. Hey, these are really nice! Lots of uses. I already want to draw a map on one. These are fantastic, will be using them very soon. Exactly what I need!!! You just rock so hard! !